A simple description of what planets and stars are and how to tell the differences between the two. The night sky is filled with tiny bright dots; many are stars, but some are planets. 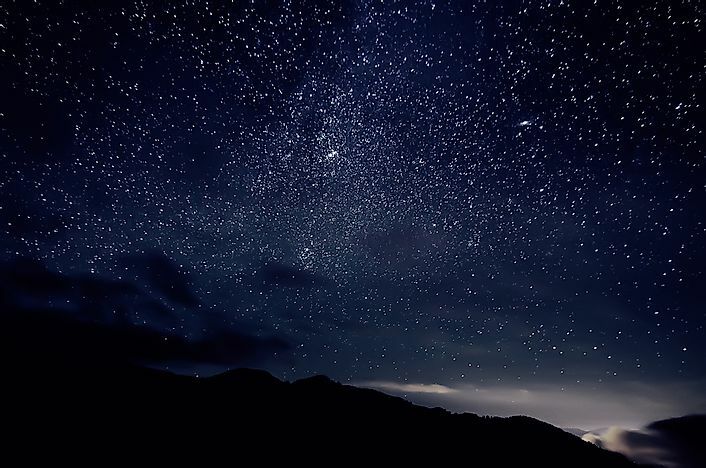 During the night, the sky is filled with tiny dots that appear to be glowing. These dots are only visible when the night sky is clear and if no clouds present. Some of the dots are stars while others are planets. But how is it possible for someone looking at them to differentiate between two based on how they look and behave? The first difference between the two bodies is obviously their definition. A star is a celestial body that produces its own light due to a reaction at its core. There are millions of stars. On the other hand, a planet is a celestial body that has a fixed course, otherwise known as an orbit. The orbit is the pathway that allows the planet to move around a star. The biggest planet is Jupiter while the smallest is Mercury. There are eight planets in total with a few dwarf planets already discovered. The first and most visible differences between the two can be seen by observing whether the body is twinkling. Stars are constantly twinkling and shimmering while planets do not. Observed through a telescope, stars appear to shake around the edges. Observing the relative brightness is another technique that can be used to tell the two apart. Planets are typically brighter than stars. The reason for differing brightness is because starts reflect the light of the sun, which is close to the planets, while the stars emit their own light. Regarding shape, stars appear as a dot while planets appear spherical. Generally, stars are also bigger than planets. Due to the nuclear reactions that produce thermal energy in the core of stars, stars are much hotter than planets. Another visible difference is whether or not the body is moving. All celestial bodies move, this is a known fact. However, stars and planets move in differing manners. A planet moves across the night sky while observing the rules followed by the sun and the moon. Therefore, a celestial body appearing to move in a straight line is more likely going to be a planet. Stars move in a circular pattern. Sometimes one may mistake planes and satellites for either stars or planets, but these move faster. Someone may also try a more advanced technique of identifying the ecliptic. The ecliptic is an imaginary band that planets move along. The difficulties in identifying the belt are clear to the untrained eye, but careful observation may be able to reveal the belt. However, stars may also be in the belt. Other techniques, like looking for twinkles, should then be used to identify the stars and the planets. Observation of the trajectory followed by the moon and sun is the easiest way to find the band since planets move close to the path. Other methods include observation of the color of different bodies, using guides and charts from credible sources, using telescopes or binoculars, and visiting dark-sky places for improved visibility. While trying to observe the bodies, one should also make sure that factors that limit visibility are reduced. What Is The Difference Between A Centipede And A Millipede?